Hybrid was called on by Potion Design to create several 3D animations for the Museum of Science and Industry’s exhibit, YOU! The Experience, to help share the answers to that question. 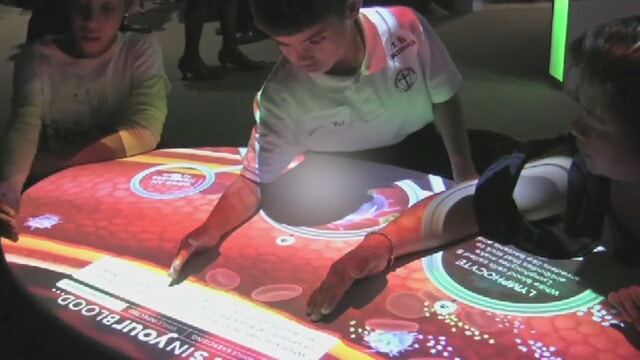 Visitors interact with a large immersive table, selectively examining and playing with cells and molecules that are coursing through a portion of a blood vessel. The experience also allows users the ability to call up a close-up view of several additional animations, including a macrophage engulfing pathogens, and platelets forming a clot after an injury to the vessel wall.